Hello, I am a single mother of three beautiful chubby cheeked girls. Ages 16, 15, and 1. I have been abused since I was in my mothers belly. My father was extremely abusive to her. I grew up thinking that was love. I then was molested, and went on to live in an abusive situation with my ex-husband who is still trying to control me. My youngest daughter's father is more emotional and financial abuse. However, they both make me beg for money. I decided to stand up against this, and enrolled myself in Massage therapy school. It was difficult not having a car, money, job, or family, but I made it through it. The whole time I thought God had left me he was right there. 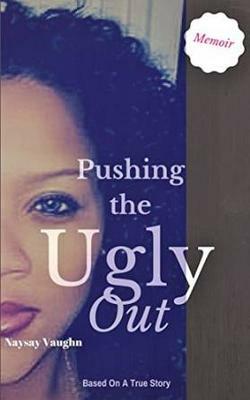 I have written a book about my experiences in the past year, and they are detailed in my memoir called Pushing the Ugly Out: A Story of Victory , which is for sell on Amazon. My hope and prayer is that I will build a following and make some noise, so that I never have to rely on them again for anything. 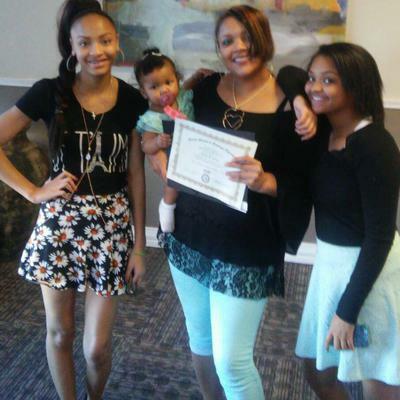 I want other women to read my story and be inspired to make some changes. During school I hid in closets to cry and in steam rooms at the gym. I was on my knees literally for half of the day. I now have an agent who is considering working with me, but I of course have to have my followers first. Please anyone reading this, this is a plea for help. If you are able to help me in anyway please do so. If it is contacting me to write an article, downloading my book and leaving feedback on Amazon, adding me as a friend on FB naysay vaughn or simply emailing me at naysayvaughn@gmail.com and showing some support, I would be forever grateful.